Hi Girls, today I am going to share my latest online shopping. I was looking for a good sunglasses for me. And I found the right one from the brand “John Jacobs” online. I was little skeptical ordering sunglasses online, but believe me; what they send me is just perfect as shown in picture; so I couldn’t stop sharing this amazing brand with you all. 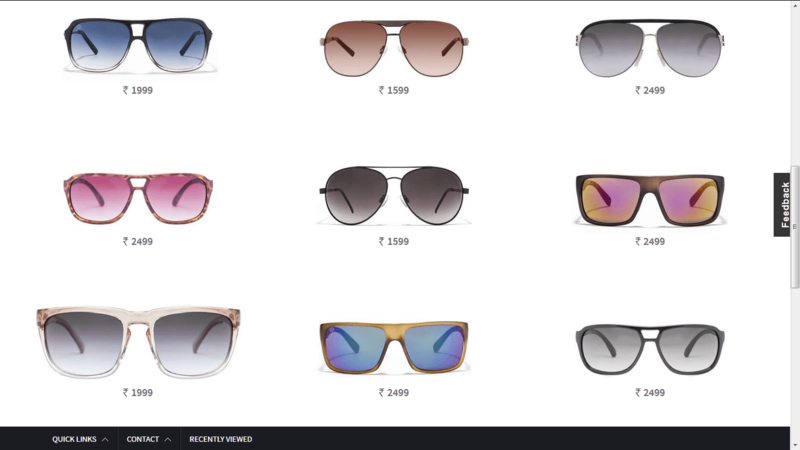 I belong to a group of girls, who hardly find suitable sunglasses anywhere online or offline. Sometimes I also think that Sunglasses of my choice does not exist on the earth! Yeah.. I am not joking!! The problem is, My face is a bit small and whatever sunglasses I like by the Style and Shape are always bigger for my face. I have tried dozens of brands till today Online and Off-line, both, but none of them satisfied me in the past.. But Now no more complains! As I found my HG Sunglasses from John Jacobs! And That’s How They Look! How is it? Liked it? I know, you must saying Awesome. Well, all my friends and hubby likes it very much. The first thing I hear from hubby is “Wow! FINALLY! !” And I was literally jumping 😛 after getting this master piece from John Jacobs. 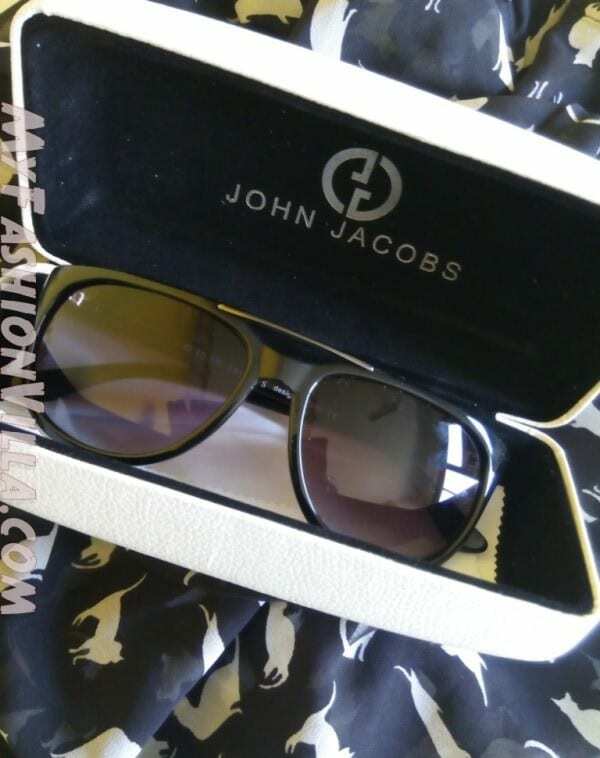 I have never tried John Jacobs Before and I regret for the same; but anyways, now I know from where to get optical glasses as well as sunglasses in the future. There are hundreds of optical glasses and stunning sunglasses on www.john-jacobs.com They offer glasses of Men and Women both. Here is the Website Look. The Categories And Types that John Jacobs offer are very unique and attractive. Especially I love The Wood Edit Collection. Very classic and elegant! What’s The Best Part About John Jacobs? They offer Free Try it Home Option! The first time, I saw this, my expressions were “Are You Kidding Me? ?” I mean really. To my surprise they actually have a great plan for the same. You can choose up to 5 different frames of your choice and interest. They will ship all five to your home. Once they deliver the package, you can try all 5 frames, and place the order for the one. Their executive will wait till you try all frames, and they can also help you with placing order of your selected frame. How Awesome!! John Jacob Guys!! You are solving a Big problem Here! Thank You Guys for this awesome feature. 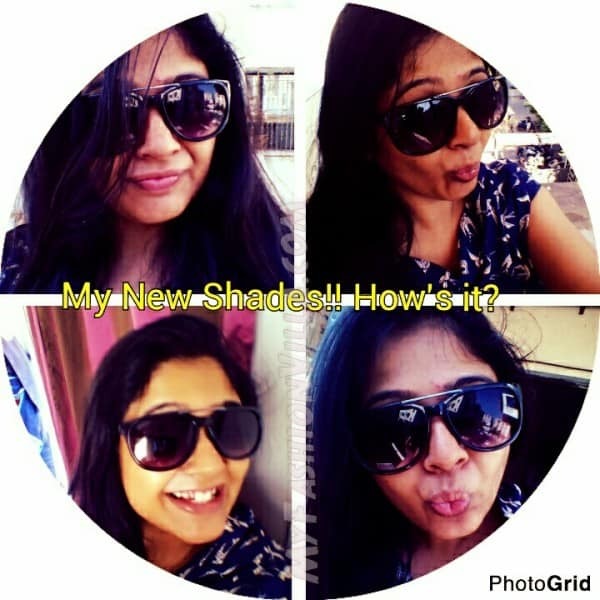 So, that was my recent shopping and I just show you my HG Sunglasses! Hope You like it. If you visit John Jacobs Website www.john-jacobs.com don’t forget to visit their about us page. It is awesome!